The School of Information is home to Information & Culture: A Journal of History, published three times a year by the University of Texas Press. In keeping with the spirit of information studies, the work is human centered and explores the interactions of people, organizations, and societies with information and technologies. Social and cultural context of information and information technology, viewed from a historical perspective, is at the heart of the journal's interests. Typical papers might focus on the histories of information institutions, academic domains, professions, work, and societies among other topics. The intention is to juxtapose papers on a wide variety of topics related to the history of information in order to stimulate connections that have not been made, for example between the research of library historians, historians of computing, labor historians, gender historians, economic historians, business historians, political and diplomatic historians, cultural studies scholars, critical theorists, and science and technology scholars. 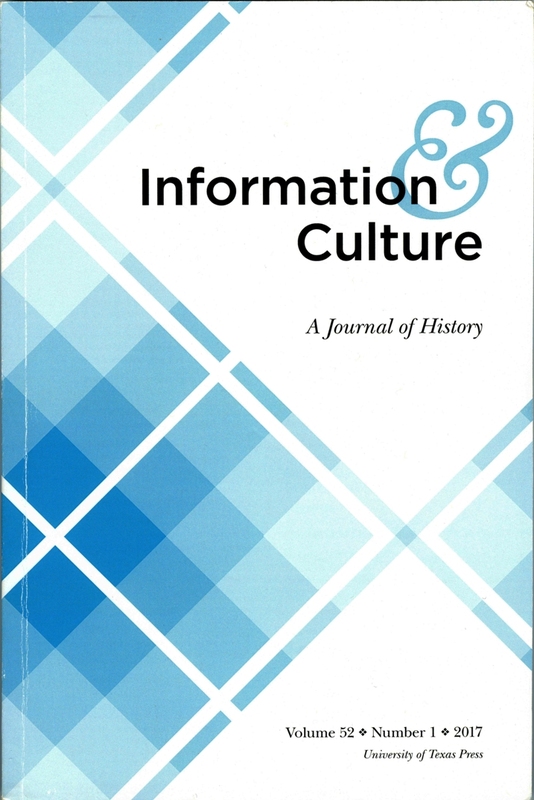 Information & Culture: A Journal of History is edited by Ciaran B. Trace, Associate Professor at the School of Information. Learn more about Information & Culture on our website at www.infoculturejournal.org. To learn more about our submission standards or submit an article for publication in Information & Culture, visit our submissions page.